We took the kids to the zoo in Winnipeg (Assiniboine Park Zoo) today and there was this statue of the real-life Winnie the Pooh ( a female black bear cub named Winnie- after Winnipeg) and the Canadian soldier who owned her. You can read the Winnie-the-Pooh story HERE if you are interested. 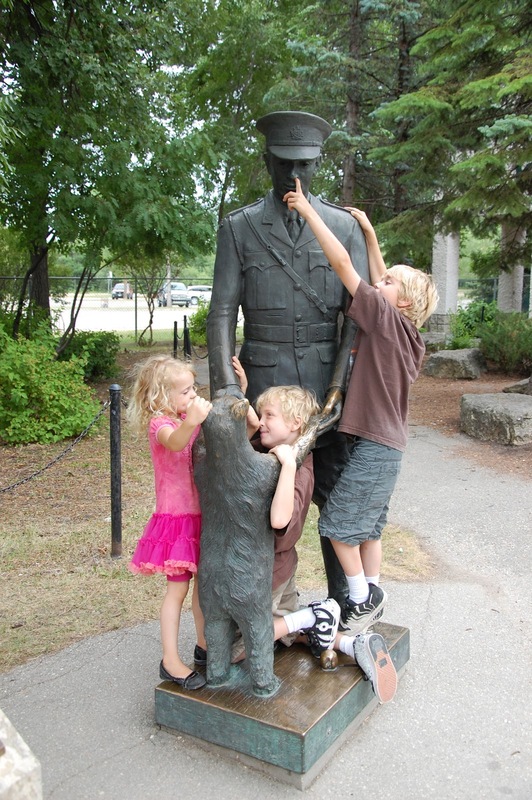 Clearly my children were less interested in the story and more interested in defiling the statue. Gotta love 'em. MOM! There is a Bug in My Mouth! !